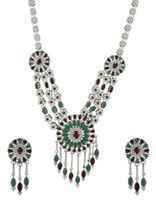 Complete your party look by wearing this multi colored necklace set from Anuradha Art Jewellery. 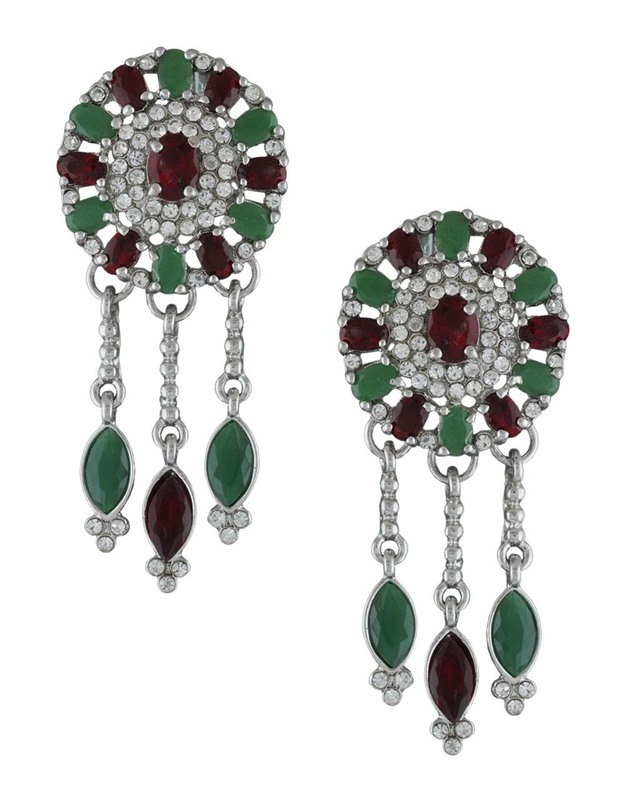 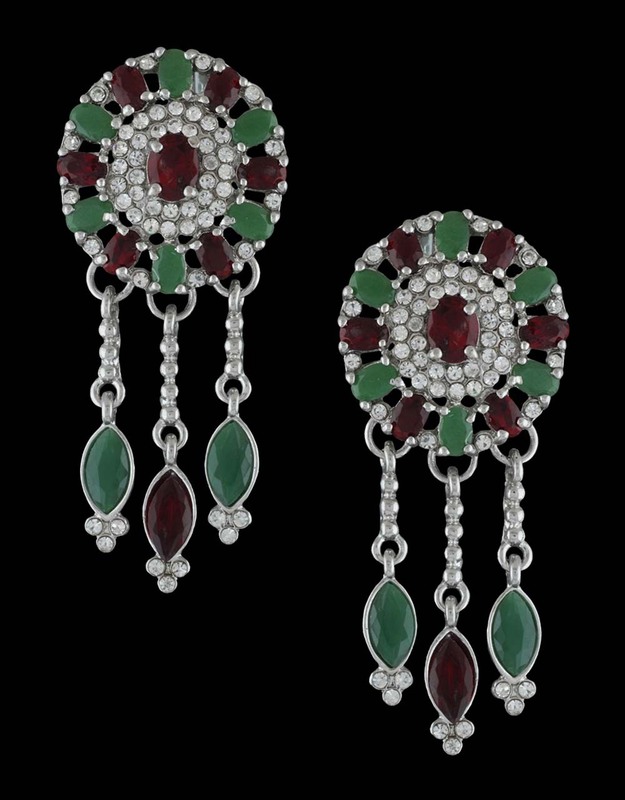 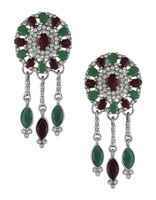 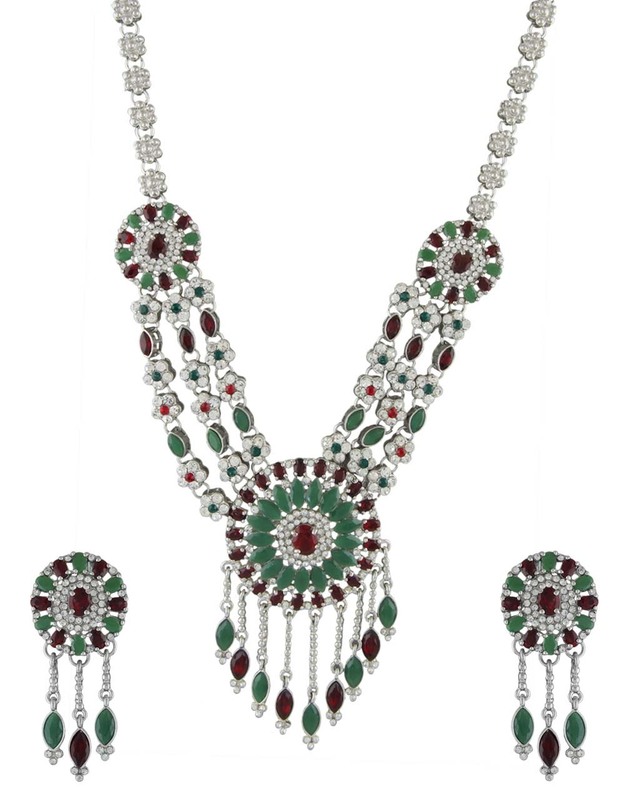 Styled with sparkling multi colored stones & fashioned from Korean metal. 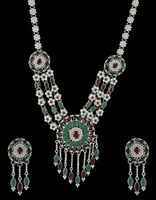 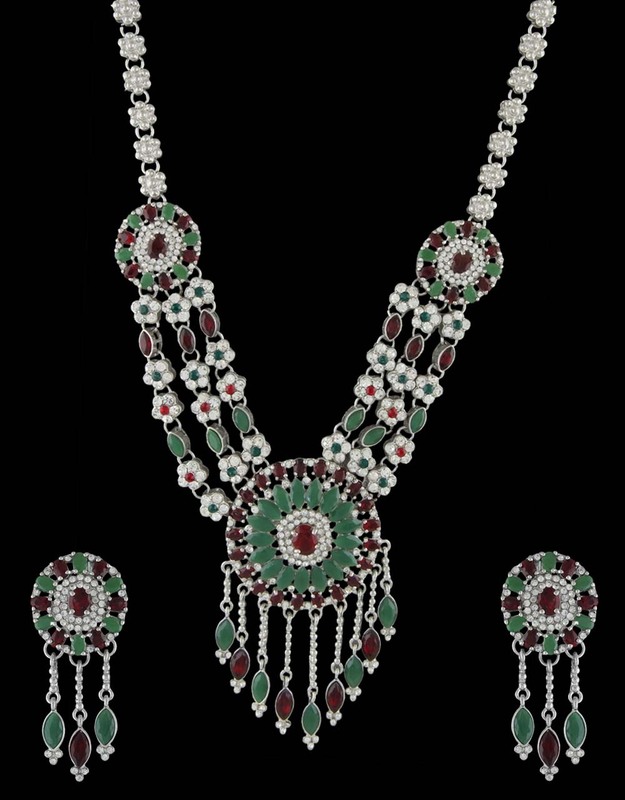 This set comprises necklace, pair of matching earring & beautiful bracelet.